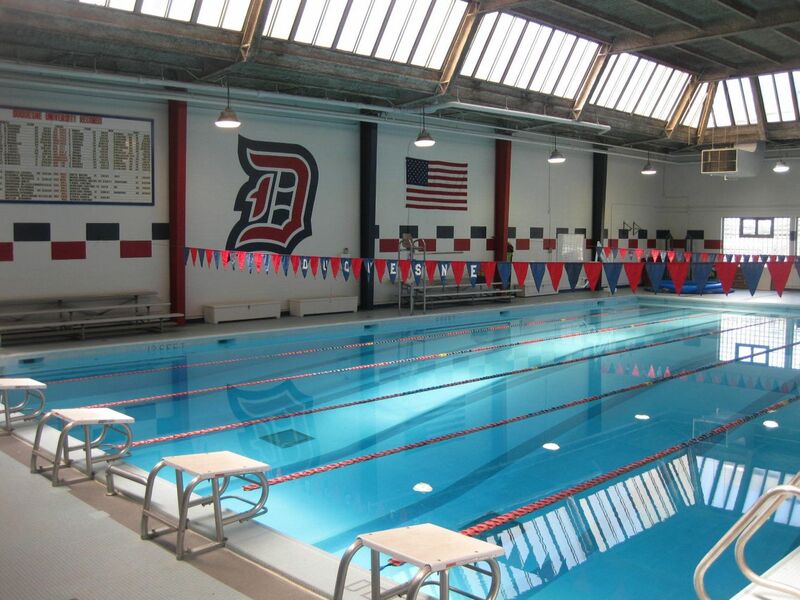 Established in 1878, the Duquesne University is a private Catholic university located in Pittsburgh, Pennsylvania. Pittsburgh is a vibrant and safe city that has been recognized and ranked worldwide for its livability. The university also maintains an associate campus in Rome. Duquesne comprises of nine schools and colleges such as Bayer School of Natural and Environmental Sciences, Duquesne School of Law, McAnulty College and Graduate School of Liberal Arts, A.J. Palumbo School of Business Administration, Mylan School of Pharmacy, Mary Pappert School of Music, School of Education, School of Nursing and Rangos School of Health Sciences. The school of pharmacy ranks no.47 in the Best Graduate School list. University offers over 189 baccalaureate, professional, master’s and doctoral level programs. Duquesne University has a total student population of more than 9,400 of which over 5,900 are enrolled in undergraduate programs. Student to faculty ratio at the university is 14:1 and acceptance rate is 74%. The university follows a semester based academic calendar. Duquesne is considered a research university with high research activity institution by the Carnegie Foundation for the Advancement of Teaching. It is the only Spiritan institution of higher education in the world and hosts international students from more than eighty different countries. A joint degree in History and English requires students to think critically about how we define history and literature , and about how the two disciplines interrelate and, in large measure, overlap. Close attention is given to changing methodologies, to the nature of evidence and to styles of argument. It is assumed that historical documents are just as much texts as are poems, plays or novels, and are therefore subject to interpretation as works of narrative, rhetoric and, fundamentally, language. Equally, it is assumed that poems, plays and novels represent historically grounded ways of interpreting a culture. A degree in art history will often help you secure employment in museums or art galleries. Individuals with advanced art history degrees may also be qualified to work as curators. These museum officials are often in charge of overseeing certain sections of a museum or an entire museum. This course is an introduction to the theories of art and to the roles of art in society. Students are exposed to compositional principles, thematic content, the vocabulary of art, techniques and media, and the historical context of artistic styles. Formal analysis, iconographic content, and an interdisciplinary perspective of the arts are covered. Multimedia is the skillful merging of computers, creative talent, programming, asset management, the use of advanced software for the creation of digital sound, video, 3-D modeling and animation, design principles, and project management. The major focuses on new media, the organization and display of information, and the development of interactive applications. Students are free to pursue their creative, artistic talents or their desire to aspire to the more technical component of multimedia development. Media writing, web design, web application development, instructional design, 2- and 3D-modeling, animation, and graphic design. The Web Development concentration allows students to pursue a design and usability approach to web development or a more technical programming approach. The design approach is the study of graphic design and interface usability for the development of attractive and functional web pages. The technical approach focuses on programming languages for the web, database applications and other server technologies to build web-based applications. Web design, web-based training, website management, multimedia-based internet applications, and many other technology-related positions. Early Decision applications are evaluated under the same criteria as regular decision applications, however an EarlyDecision application signals to the Admissions Committee the sincerity of the applicant s desire to attend law schoolat Duquesne. Because regular application decisions are made on a rolling basis, Early Decision applicants are givenpriority review in the admissions process.Candidates admitted through the Early Decision Program will receive consideration for scholarship awards.Candidates for whom receipt of scholarship aid is a primary factor should not apply through the Early Decisionprocess, as scholarship offers may not be made until after seat deposits must be submitted. Candidates admittedunder Early Decision will not be able to compare financial aid offers from multiple law schools. d) Scores from either the GRE or the GMAT exam. e) TOEFL/IELTS scores if the applicant’s native language is not English. The annual cost of living at Duquesne University is $11,760 approx.